Overview World Largest Single Stream Fertilizer Project. 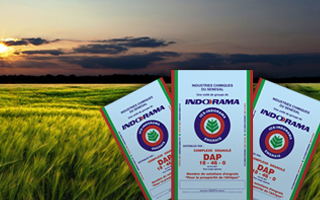 The company, a total fertilizer solution provider, is situated on 38 hectares of land in the expansive Indorama Complex, Eleme, Port Harcourt, Rivers State, Nigeria. 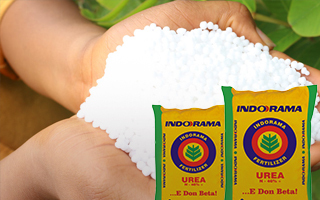 The Plant has a production capacity of 4000 metric tons (MT) of nitrogenous fertilizers per day or annual production capacity of 1.4 MT. The world-scale plant has been built with an investment of USD 1.5 Billion, a huge Foreign Direct Investment, funded by the International Finance Corporation (IFC) and a consortium of 15 European & African Banks and financial institutions. The Fertilizer Plant includes 2,300 Metric Tons Per day (MTPD) ammonia plant, 4,000 MTPD Urea granulation plant and associated offsite and utilities. The fertilizer plant is well supported by port terminal at the nearby onne port, and a gas pipeline of 83.5KM for gas supply. The plant will bring about a green revolution in the agriculture sector not only in Nigeria but also in other parts of Africa and world at large. 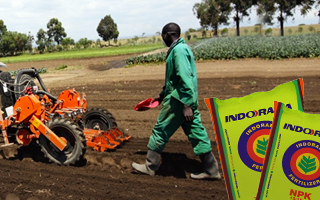 Besides making the fertilizer products to be available at affordable cost, the plant will boost crop productivity to farmers and greatly help in minimizing the food grain deficit in Nigeria and other countries. The plant has also generated lots of job opportunities contributing to the economic prosperity of Nigeria. The construction of the plant commenced in April 2013 and completed in December 2015. The commissioning activities concluded in March 2016 and the commercial production started in June 2016.